Both ginger ale and ginger beer use a flowering ginger plant as the key ingredient. These beverages, however, are made in a different way and have a different taste. We will take a closer look at what these differences are in this article. Ginger ale belongs to the category of soft drinks. Ginger ale historically was made via the process which is similar to that of making soda. The American doctor Thomas Cantrell is credited with the invention of ginger ale. He first made a drink which was of a golden tint and was actually similar to modern ginger beer. 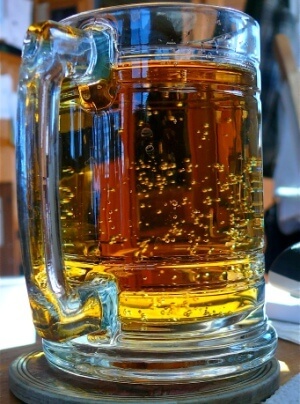 Ginger ale of a pale color is more popular; it was first concocted by the Canadian John McLaughlin. Apart from being a popular soft drink, which is often mixed with non-alcoholic drinks, for example to make fruit punch, ginger ale can be used as a medicine. Due to the beneficial qualities of ginger, ginger ale has been proved to be a remedy for motion sickness, indigestion and sore throat. Ginger ale can also be mixed with alcoholic beverages, such as beer, wine and hard liquors. It is often said of ginger ale that this drink can be mixed with everything. Take ginger and grate it with a grater or a food processor. After you get an amount of around two tablespoons of ginger, put ginger in a pan and add a cup of water to the mix. Then add a cup of white sugar. Stir the mixture up and put the pan on medium heat on a stove. Heat the mixture up until all the sugar dissolves. It will take around two or three minutes. You will see that it starts to boil a little. Turn the heat off and let the contents sit for around an hour, or more. The longer you let it sit, the stronger the ginger flavor will be. Take a stainless steel strainer and strain the mixture, to filter out all the bits of ginger. Take a cup and put some ice cubes in. Take a couple of tablespoons of prepared ginger mixture. Take water – any water you like- sparkling, bubbling or plain. Make sure it is without any flavoring, otherwise its flavor will mix with the ginger flavor. Stir and your ginger ale is ready. Ginger beer is a sparkling alcoholic beverage. One traditional style of ginger beer is called “Crabbie’s”, named after a Scottish merchant named John Crabbie, who invented ginger beer back at the beginning of the 19th century. Originally ginger beer had about 4-5 percent alcohol and tasted exactly like modern ginger beer. In the United States, Crabbie’s ginger beer was claimed by company market specialists to be gluten free. However, it was discovered recently that this leading brand of ginger beer contains gluten. This discovery caused much alarm in the gluten intolerant community. First, you need to make a ginger bug. Take some ginger and peel it roughly. Take a jar and put ginger pieces down to the bottom of the jar. Put some white sugar in the jar. White sugar is the preferred option among other sorts of sugar because it allows for microbes to metabolize, thus making it easier to ferment. Do not worry about the proportion of sugar to ginger. The more sugar you add, the more alcoholic the beverage will be. The less sugar you add, the more acidic the beverage will be. If you heat the jar up you get an alcoholic beverage, and if you cool it down, you will get a vinegar-like beverage. Add some good quality water to the mix and mix it around a little bit. Close the jar and let it sit for around a week. During this week, add a little bit of sugar and a little bit of ginger daily to help build the ginger bug. It is ready when you can smell some alcohol and see little bubbles. The original colors of the ingredients should blend a little. Next step is to make ginger tea. Depending on how spicy you like your beverage, you can add more ginger. The average amount is 2 inch pieces of ginger to 2 liters of water. Take sugar and add it to ginger. Make a mixture of one cup sugar for two liters of beverage for an alcoholic drink, and three tablespoons for two liters for probiotic ginger beer. Boil the mixture in a pot for fifteen minutes, and then cool it down to room temperature. 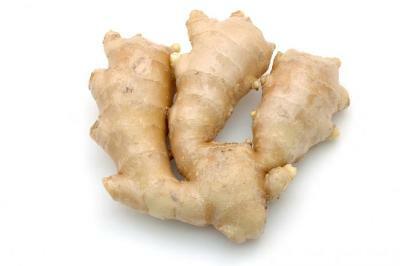 The boiling process releases all the inflammatory chemicals within the ginger. Filter ginger pieces out. Take ginger bug and add it to ginger tea. You do not need to add much ginger bug, just add a little bit to inoculate the yeast and bacteria. Leave the mixture for a week if you want a probiotic ginger beer. If you want to have an alcoholic ginger beer, let the mixture sit for two weeks. Ginger beer and ginger ale are made via different processes. Ginger ale uses yeast for the carbonation process. Ginger beer, on the other hand, is made via fermentation. That results in ginger beer being less carbonated. Ginger ale is sweeter than ginger beer. Due to its sweetness, ginger ale has a reputation as a family drink, while ginger beer is more of an adult drink. Ginger ale is mellower and has spicy notes to its taste. Ginger beer is drier and has a stronger ginger flavor. Owing to these qualities, ginger beer makes its presence prominent in the cocktail which contains it. Some ginger beers are not sweet at all. So if you do not like sweetness, ginger beer is your option. There were once variations of ginger beer that contained up to 11 percent alcohol. Today, ginger beer is kept under 0. 5 percent alcohol. This is with the regulations of the Food and Drug Administration in the United States that require this amount for it to be classified as a non-alcoholic beverage. One of the benefits of keeping the alcohol percentage low is that in the United States, ginger beer can be distributed nationwide without any additional regulations. Apart from being the ingredient for ginger ale and ginger beer, ginger has been used for its medicinal properties for centuries.